Every year this unique day gives the dog-loving public the golden opportunity to help raise awareness about the UK’s cruel puppy farming trade by attending this amazing celeb-judged fun dog show in London. Pup Aid 2018 will again be held in Primrose Hill Park, just off Regents Park Road, North London. The best entrance to access the park is at the corner of Regents Park Road and Albert Terrace. Taking place at pooch paradise Primrose Hill the event is jam-packed with fun for all the family, especially the four legged members. 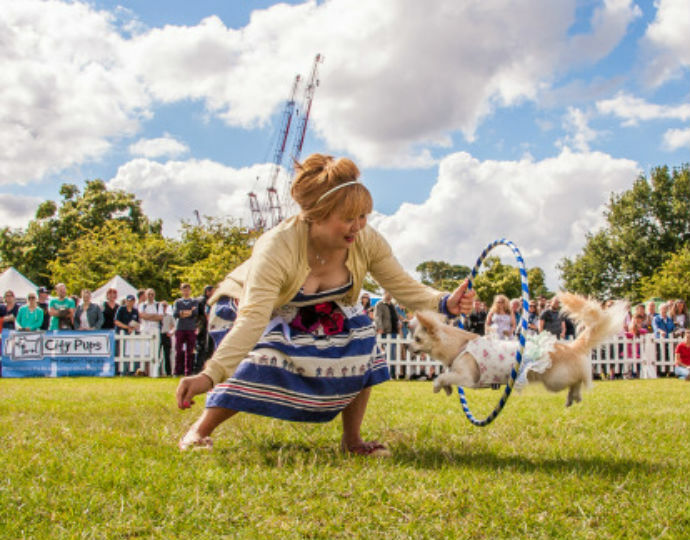 With delicious vegan food, a celebrity judged dog show, agility course, doggy displays and plenty of stalls Pup Aid continues to be the biggest puppy welfare event of the year. Pup Aid is held in Primrose Hill Park, just off Regents Park Road. The best entrance to access the park is at the corner of Regents Park Road and Albert Terrace. The closest tube station is Chalk Farm and we recommend you use public transport to travel to the event as parking is very limited.